Register at the Sewing Lessons in Redwood City. Click Here. Using your Moulage Master Patterns, you will be shown the steps to altering your commercial patterns and basic pattern designs. You will transfer the master patterns to clear plastic sheeting. Bring several Commercial* patterns from home that are simple in design you wish to alter. You will practice on the actual patterns. You will test fit by cutting out and sewing a muslin of the pattern altered. 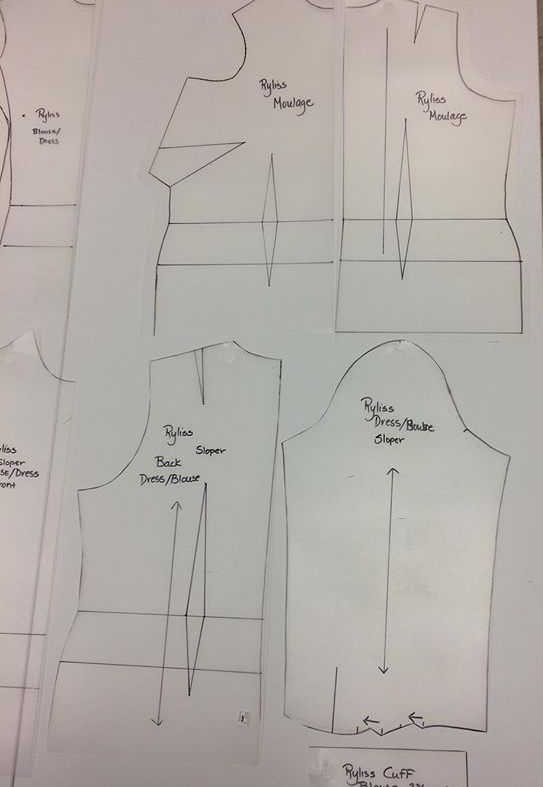 A basic pattern drafting lesson will also be included using 1/2" scale patterns for exercises. A kit will be available for $25. It will include the clear sheet plastic sheeting (enough for a front, back and sleeve) and 1/2 scale patterns and colored paper. Additional plastic sheeting may be purchased. *Commercial patterns like Simplicity, McCalls... They have the back waist lengths that many independent patterns do not have. Your Moulage and sloper patterns, paper scissors, scotch tape, pencils, rulers. No sewing machines are necessary.